We are committed to bringing you effective products that smell amazing and that you can feel good about using. Handcrafted in small batches with ORGANIC, WILDCRAFTED, FAIR TRADE and clean ingredients. Because we love you and we love the earth! Loved not only for its fragrance but also for its gently persuasive way with skin, rose seems to nourish, balance, reform, de-scar, and rejuvenate most skin types. It is a known cell-regenerator and is especially helpful for damaged or mature and aging skin. This beautiful bright yellow/orange flower of calendula has antimicrobial and anti-inflammatory properties. It is gentle enough for all skin types but especially for damaged or irritated skin. The oil made from the petals is also a favorite in infant and child skin care products. The juice from the large, succulent leaves is an excellent first aid treatment for burns, rough or irritated skin, and wounds. And it is also a wonderful moisturizer that also firms and tones the skin. 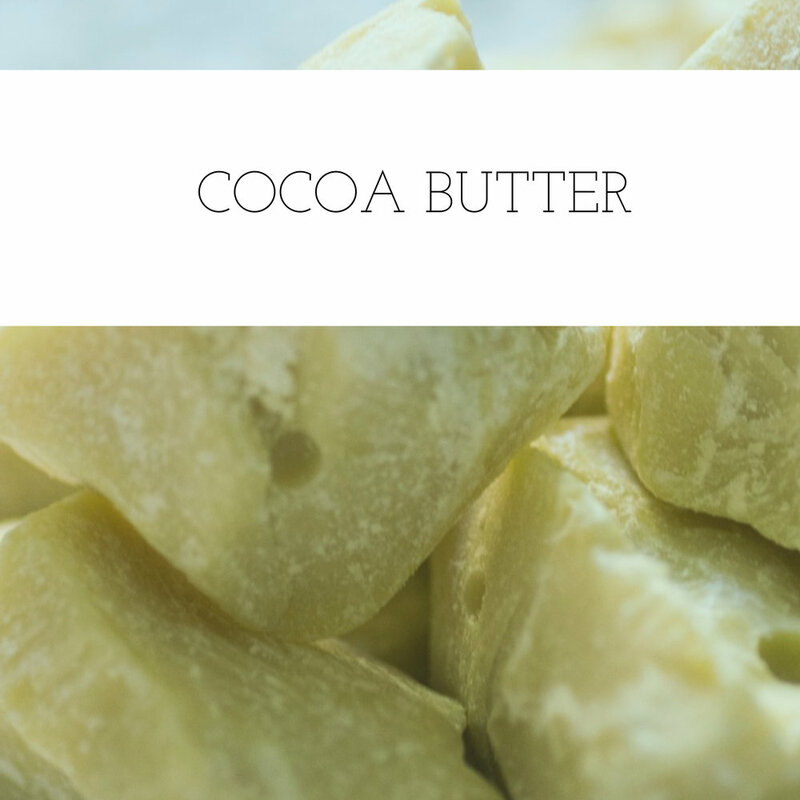 This rich butter is used for healing damaged or scarred skin, as well as dry skin and rough skin (knees, elbows, and heels). It is also a protective agent in harsh weather. It is one of the most sought after carrier oils to be used in beauty/natural skin care products because of it's incredible similarity to human sebum and its ability to quickly be absorbed into the skin. It works wonders on all skin types and is really popular in creams, massage oils, lip balms, skin salves, and hair care formulas. Our witch hazel is a double decoction. First soaked in organic grain alcohol for 6-8 weeks, then simmered in pure water. Unlike the clear drugstore variety, ours is full of color and tannins and goodness! It is used in many cosmetic products for its light astringent and firming properties. 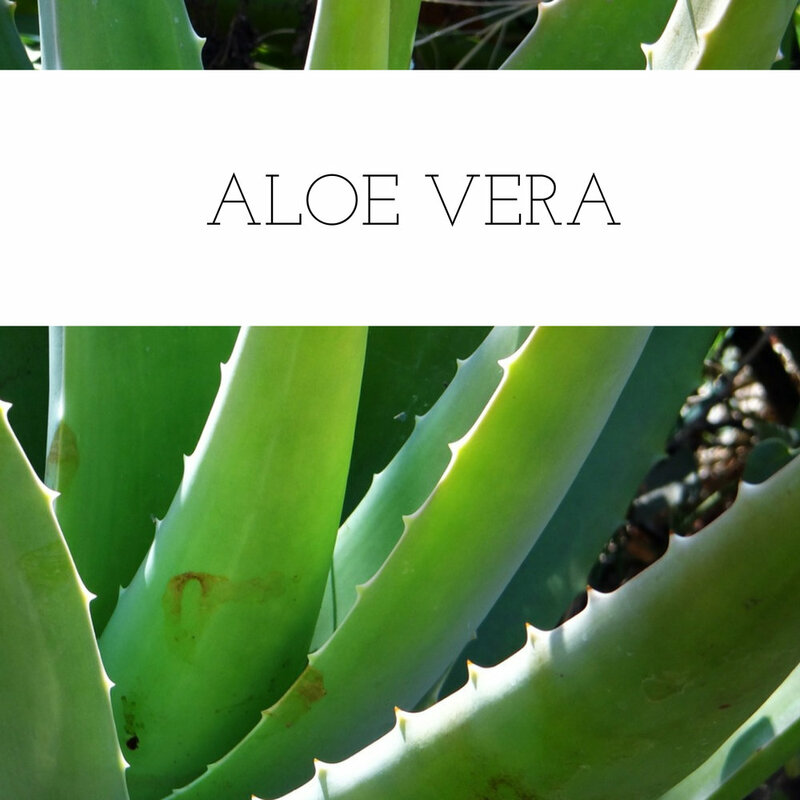 It has mild antibacterial properties, making it a popular choice for cranky, inflamed skin. Epsom Salts do wonders for sore muscles. Epsom salts are a natural magnesium salt. In water, it breaks down into magnesium and sulfate. Soaking in warm water can help relax muscles and loosen stiff joints. People use Epsom salt baths as a home treatment for arthritis pain and swelling, bruises and sprains, insomnia, psoriasis, sore muscles and more. Himalayan Pink Salt is renowned as an especially mineral-rich salt that comes from caves in the Himalayan Mountains which were under the sea over 200 million years ago. Himalayan Pink Salt is helpful to soothe sore muscles, detoxify the body and skin, and balances pH. It is one of the richest oils available and makes it ideal for dry and aged skin. It has emollient properties that help thicken skin care products. It also contains fatty acids, which improve skin moisture retention and elasticity and is effective in easing skin problems such as eczema or psoriasis. It can clog pores so it's better to use a little less if you have acne prone or oily skin. Brown sugar is an amazing skin care secret weapon! It is a natural humectant, meaning it draws moisture from the environment into your skin. It is gentler on the skin than salt. It is a fantastic exfoliator for all skin types. It contains alpha hydroxy acid, which encourages cell turnover for radiant, younger looking skin.